Once upon a time, in a land far, far away (near DeSoto County), there once was a beautiful land filled with streams and cow patties. A small team of nerds (Kristen, Josh, John & Jacque) were going to travel to this land to study the land and all its beauty. The merry team of nerds would collect fish, measure the streams, count things and generally frolic around making much of muddy wriggly things while smelly disgusting. It came to pass that Nerd Kristen, Nerd Josh, & Nerd Jacque were working on a lovely tomato (without the e) farm one sparkling clear day. They frolicked in ditches filled with glorious wonder (and maybe some invasive species and mass levels of herbicides and fertilizers). They laughed and played all the live long day in the tomatoeee (didn’t quite know how to get you there) haven there in the county of DeSoto. It so happens that there was a big strong property manager. He warned the Nerds to leave the premises early lest they be trapped FOREVER in a pit of doom (which really meant they would be stuck on the farm). The Nerds giggled for they knew a great secret. They had a magic gate key! They would be able to frolic and laugh and handle strange creatures until the sun sank on the glorious horizon. So it was that the Nerds spent their day lounging on stream banks marvelling at the amazing creatures and their native realm. It was just before dusk when the Nerds lifted their little chins to the sky and decided to journey back to their Knight’s Inn to retire for the evening. Lo, the gate was locked just as the strong property manager had warned. 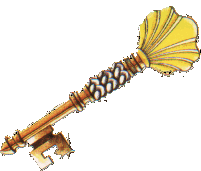 “No matter,” Nerd Kristen said,”we have a magic key!” But when she tried the key in the golden lock – it did not open. Try as she might, the lock was stuck and the key was useless. CURSES!!! Nerd Josh is a resourceful apprentice and thought immediately of many fun ways that the team might open the lock. He thought of magic, of calling the elves (which were hours away), of breaking it with his will (and a few misused tools). He thought of crow bars, and cursing. Meanwhile, Nerd Kristen continued to be sad and hungry. Nerd Jacque began to look about for fun things to do while they came up with a plan. Nerd Josh thought to look for sources of entertainment and eventual food. The nearby ditches provided endless hours of fun for Nerd Josh and Nerd Jacque. They caught fireflies and frogs, lizards and bugs and laughed and played well into the night. A lone magician (dressed like a security guard) came from far away to help open the gate. Lo – the lock would not budge….who had warded the lock as well and what might they be hiding? Maybe they knew how fun it was to frolic in the fields of tomatoes and ditches of frogs. They had tried to warn the team of Nerds. It was well past ten when the team’s hero came. The strong property manager rode in on his horse (truck) and magically broke the spell on the lock (yeah – of course he had the right key). The team shouted with glee (but the property manager did not – he was kind of grumpy). The manager left and the Nerds began to load into their magic carriage….but Nerd Jacque had lost the secret Toyota key. The key of all keys! She must have lost it while chasing frogs. The Nerds began a wild hunt for the secret Toyota key. Jacque giggled as she remembered exactly where the secret must be laying. She was admiring a small lizard and thinking how lovely it was to be locked on a tomato farm at ten at night when the secret key must have slipped from her pocket. She immediately strolled to the very spot she had been sitting. Wouldn’t you know – they secret Toyota key was there – gleaming in the moonlight. Nerd Kristen had passed into a deep state of grumpiness. Starvation and despair had taken her over and she was like a demon gone wild. how could the team find sustenance for her? They had such a long journey back to their Knight’s Inn. Nerd Kristen’s spell broke long enough for her to call the magical desk clerk at Knight’s Inn. Kristen demanded I mean asked nicely for them to order some pizzas. The team arrived to warm pizza, cold beers, and a wonderful tale to tell….the moral of the story is – you should never trust a magic key without trying it first or bring some pizzas to feed the demons.